The days of thin, over-plucked eyebrows are long gone and now everyone wants to know how to grow eyebrows that are thick, full and bold. Ushering in this new era are full-browed celebrities ranging from Ashley Olsen to Zoey Deutch, all sporting a full set of thicker-than-thou brows and demonstrating how bigger brows just work for pretty much every single face shape, providing instant definition and making you look naturally more expressive. So how do you get these full, luxurious brows? For a lucky few, it simply involves giving the tweezers a rest and letting the brows grow out. But for the rest of us, it's going to take a little more work than that. Especially if we took the over-plucking too far in our younger years or were born with thinner, wispier hairs. But wherever you currently stand on the brow spectrum - trust us when we say you can get them a whole lot thicker and fuller than they are now. Here are the top 5 most effective ways to grow thicker eyebrows! A healthy diet doesn't just help you maintain your weight or give you more energy - it can even help you grow your brows. So what foods should you be stocking up on in order to give your eyebrows a boost? Protein. You knew this stuff was going to make the list, right? It makes sense considering proteins are the building blocks of cells, comprising about 50% of a cell’s dry weight. Because hair is nearly all protein (keratin is the protein that is the primary component of eyebrows), getting enough protein is critical to eyebrow growth. Calcium. Calcium's not just helpful for your bones, it also strengthens and protects hair against breakage. Zinc. Zinc goes to the root of the issue - literally - by benefiting hair follicle health. And since healthy hair follicles grow healthy hairs, this nutrient is absolutely essential. Iron. 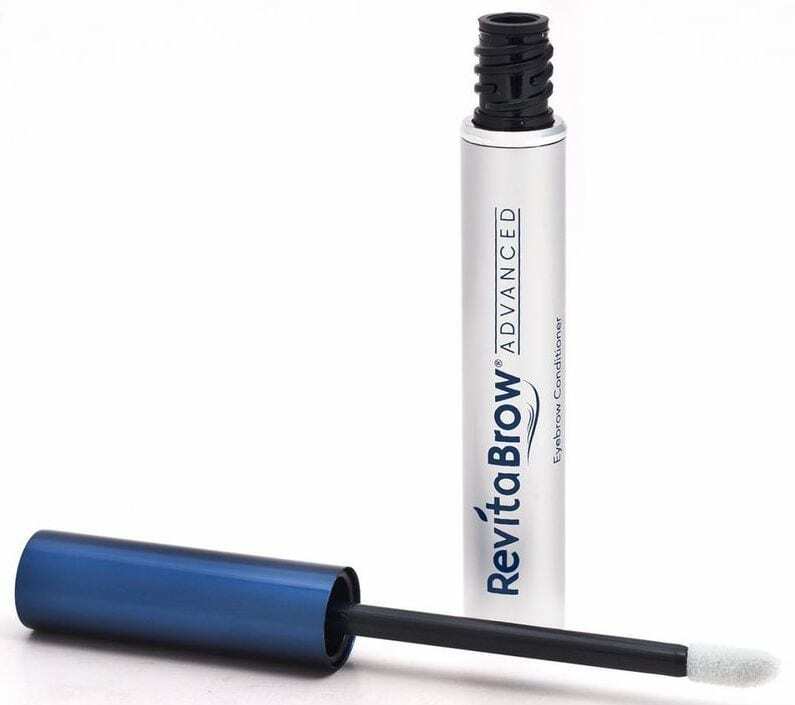 Another essential eyebrow mineral that's stored in your hair follicles, iron is crucial for strong, sturdy eyebrows. You've got to eat three times a day anyway. So why not use each opportunity to show your eyebrows some love? Stock up your plate with goodies like eggs, lean meats, fish, cheese, yogurt, beans and lots of greens for natural eyebrow growth! Diet is an essential step but if you want an extra boost of brow-growing power, eyebrow growth supplements are the way to go. Rest assured - you don't need a prescription for the majority of these since they use a combination of natural ingredients that stimulate healthy hair growth and ingredients that block hair loss. Biotin. This one's a heavy hitter and a must have - in fact, it's so effective you can just take it alone and skip the rest and still see results. Biotin is an essential ingredient in the process of hair growth and necessary for the production of healthy hair and brows so if there's just one supplement you choose, this should be it. Saw palmetto. This little herb is found in many hair loss and hair growth supplements because it blocks the 5-alpha-reductase enzyme that converts testosterone into DHT. DHT is considered a major cause for baldness so by blocking the conversion to DHT, saw palmetto helps decrease hair loss. Omega-3 oils. Fatty acids nourish the hair from the inside out, supporting thicker and healthier eyebrow growth and reducing inflammation that can lead to hair loss, which is why you'll often find flax seed oil, borage oil, or fish oil in hair growth supplements. There are also a ton of other herbs that are helpful for eyebrow hair growth like Fo-Ti Root, Bamboo extract or Horsetail herb extract (both good for their silica content), MSM as well as mineral-rich ingredients like pumpkin seeds. 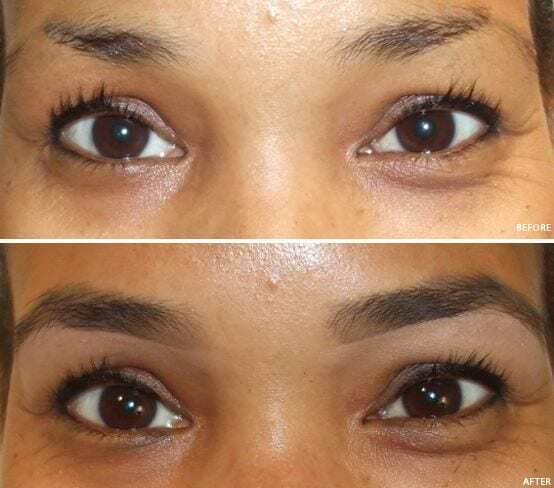 One of the easiest, most affordable ways to show your eyebrows some TLC is to heap on some all-natural, nourishing oils that condition and strengthen your eyebrow hair follicles while simultaneously promoting eyebrow hair growth. Wondering which oils are best for encouraging eyebrow growth? Castor oil. The best not-so-secret secret for thicker, fuller brows and lashes, castor oil is a thick, viscous oil that's chock full of omega-6 fatty acids, vitamin E and proteins – all of which are incredibly nourishing for hair follicles. Coconut oil. Lighter than castor oil, coconut oil is deeply moisturizing and also has a natural pulling action that draws out impurities. Emu oil. This is not not a plant-based oil - read: not for vegans. But it's fantastic for brow growth - this stuff easily penetrates and stimulates dormant hair follicles into producing hair again. Very nourishing, very rich and very good for your brows. Rosemary oil. This delicious herb isn't just good on chicken, it's also one of the best essential oils to promote hair growth. The thing is - you don't want to use it alone so mix it with one of the 'carrier oils' above to make your own potent hair growth serum. Although the above are our favorites, they are by no means the only natural oils that will benefit your brows. Rifle through your kitchen and bathroom cabinets for olive oil, almond oil, avocado oil and any other naturally nourishing oils that are rich in vitamin e and fatty acids - they're all helpful for eyebrow growth. You can even make your own eyebrow growing serum by mixing and matching a few of your favorite oils together! Oils do a lot for your eyebrows - they moisturize, nourish, condition and can stimulate faster, healthier eyebrow hair growth. But what they can't do is take barely-there, short, thin eyebrows from non-existent to big, bold, beautiful brows. You know what can do that? Brow growth serums are formulated with potent peptides and proteins that stimulate faster and much thicker eyebrow growth as well as nourishing ingredients to boost strength, elasticity and health. They don't work overnight but with consistent use, they can take your eyebrows from sparse and nearly bald to dark, full and well-defined. 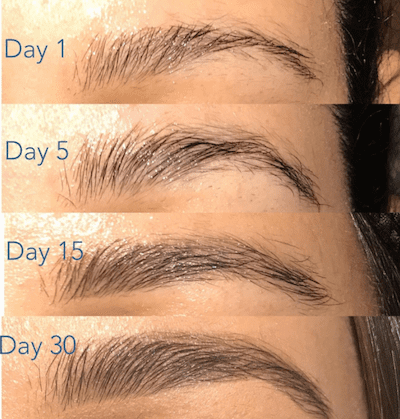 Hands down the most effective way to grow brows back - even if they're stubbornly sparse and thin - is with a growth serum that contains prostaglandin analogues, which are hormone-like substances that stimulate drastic hair growth. Latisse, for example, ​contains the prostaglandin Bimatoprost, which is undeniably effective, resulting in drastically longer, much thicker, and impressively dense hair growth. The thing is - you don't have to go through the trouble of prescriptions and ridiculous costs (a bottle of Latisse is around $120) in order to get the same eyebrow growing benefits. Especially when there are a number of Latisse alternatives out there that also contain effective prostaglandin analogues, don't require a prescription and work just as well by increasing the number of hairs as well as the thickness and length of each hair. These serums even affect the pigmentation, so you'll get darker brows, and lengthen the time it takes for the hair to fall out, making your brow hairs overall sturdier and your brow line fuller. The thing is that eyebrow serums that contain prostaglandins are rare and there's only a handful of them apart from the most famous one, Latisse, which is prescription only. 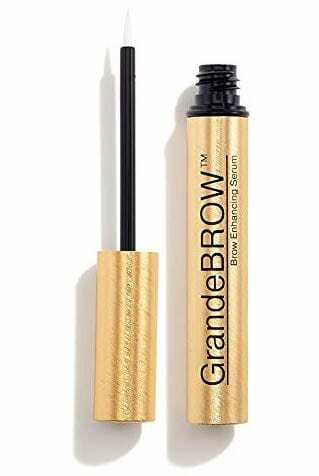 Our favorite is GrandeBrow, which contains enough prostaglandin to be highly effective. 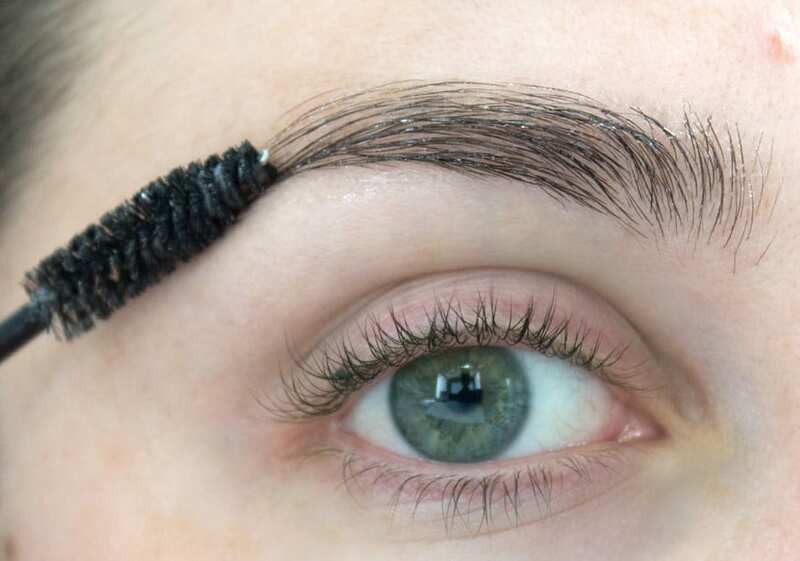 What if your eyebrow hairs aren't just thin and sparse - what if they've been irreparably damaged and/or shrunken and are now actually balding? Is there a way to grow back balding eyebrows? Meet Rogaine. 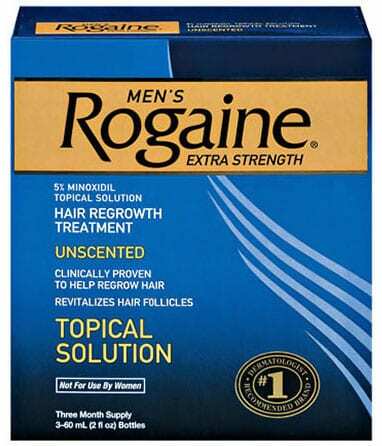 Yes, that very same Rogaine that's used for male patterned baldness. It's not just effective for the hair on your head - it works just as well for eyebrows. And it's especially great for when you're trying to grow back bald patches on your brows. Here's how it works: The active ingredient in Rogaine ​- minoxidil - actually reinvigorates shrunken hair follicles in order to increase their size so you get thicker hair growth over time. The result? Rogaine can help you grow back eyebrows that were lost to over-plucking and restore your brows to their former, thicker glory. YES rogaine works like a charm! I’ve been using it for almost 3 years and I went from having very sparse and fine brows to actually have brows! It’s amazing. Just go to your local Target & get the generic version minoxidil 5% strength. One bottle should only costs you under $10 and since you’re only applying to your eyebrows, it lasts for years! I use a cheap small sized paint brush to apply. 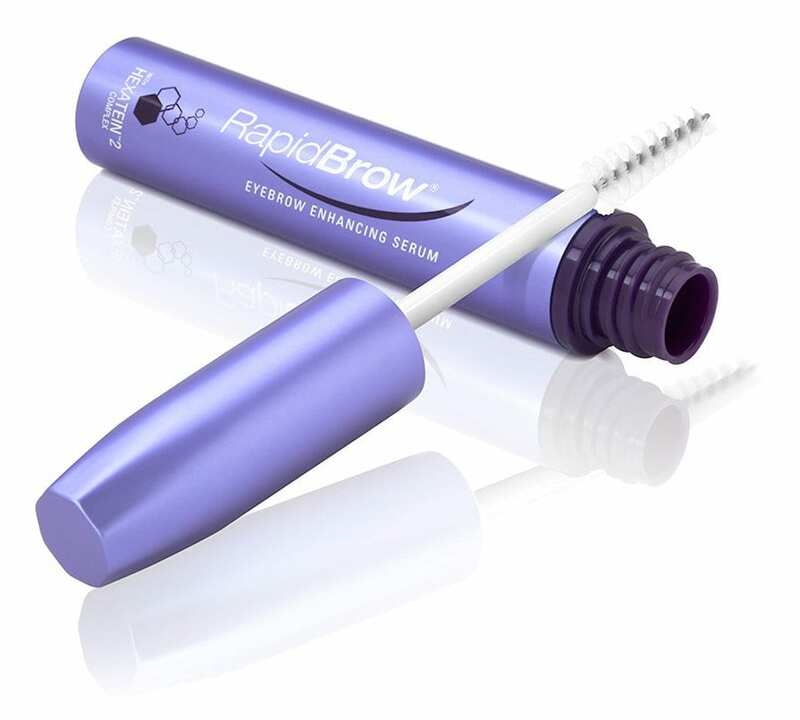 I use Dermalmd eyelash serum for eyebrow regrowth and so far in the first couple weeks, I have already seen it working! Highly recommend.